(Photo courtesy Eric McCandless/ABC) Artem Chigvintsev and Danelle Umstead perform on “Dancing with the Stars.” (Photo courtesy Eric McCandless/ABC) Danelle Umstead and Artem Chigvintsev perform on “Dancing with the Stars.” (Photo courtesy Eric McCandless/ABC) Host Tom Bergeron, Danelle Umstead and Artem Chigvintsev on “Dancing with the Stars.” (Photo courtesy Eric McCandless/ABC) “Dancing with the Stars” competitors Artem Chigvintsev and Danelle Umstead pose with Umstead's guide dog, Aziza. 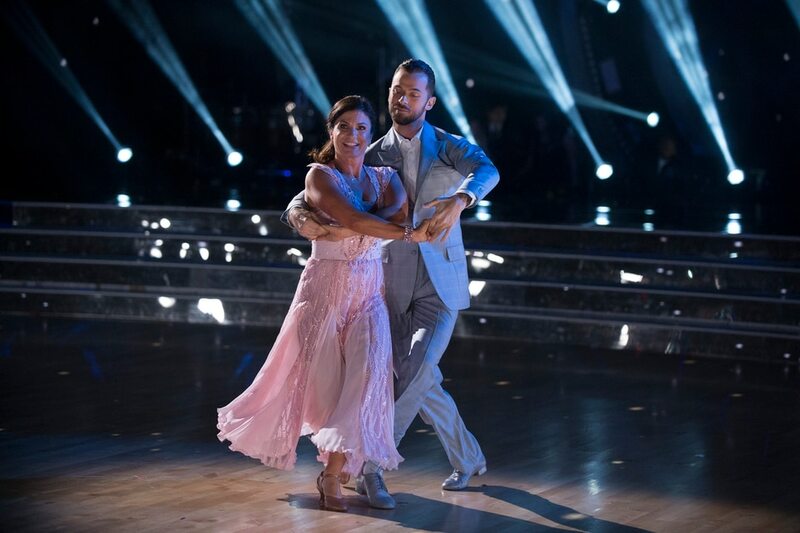 Update: Danelle Umstead and her partner, Artem Chigvintsev, were eliminated from the “Dancing with the Stars” competition in Tuesday’s episode. When Park City’s Danelle Umstead got an email asking her to be a contestant on the current season of ABC’s “Dancing with the Stars,” she thought it was somebody’s idea of a joke. And Umstead had plenty of reason for skepticism. For one thing, she has zero dancing experience. For another — she's blind. Umstead was diagnosed with retinitis pigmentosa — a genetic eye condition that causes the retina to degenerate — when she was just 13. She has no central vision and is losing her peripheral vision. Currently, her spotted vision limits her sight to less than 5 feet, without any detail. But she's a three-time medalist at the Paralympics. And she left the “Dancing” judges sounding amazed after her performance, with partner Artem Chigvintsev, last week. But Umstead said what she's learned so far has been how little she knew. “I thought I could move a little. No, no — it's all wrong,” she said with a laugh. That Umstead is surprising people on the dance floor is an echo of her career on the slopes. She didn’t learn to ski until she was 29. Her dreams of the Paralympics didn’t begin until four years later (in 2005), when she and her husband moved to Park City and she learned of the competition program at the National Ability Center there. A dream that led her to three consecutive Paralympics (2010, 2014 and 2018) and three bronze medals, along with multiple silver and bronze medals at the World Championships. “And then coming into ['Dancing with the Stars'], I know everybody's talking about my visual challenge, but I also have a physical, neuro challenge, which is multiple sclerosis,” Umstead said. “We all have rough days. We all have hard times. We all want to give up on something. I hope I’m inspiring people to just be happy and make each day their very best day. That’s all we can do in life. “And I’m inspiring myself, because this really seems impossible." Ask Ann Cannon: What should I do about fans behaving badly, including my wife?